I am new at graphic design (obviously) and I would like to create a logo with overlapping colors to produce a desired color. In this case I would like to overlap 3 distinct colors (with I assume different opacities) to yield sapphire blue (#0F51BA). 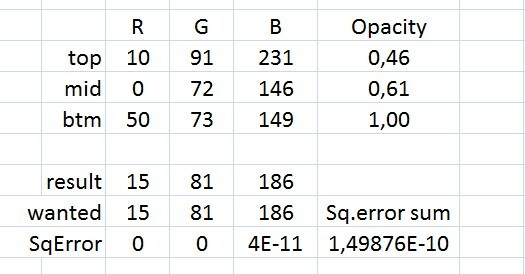 I have tried to overlap RG and B with different opacities of varying percentages* and I have gotten no success so far. 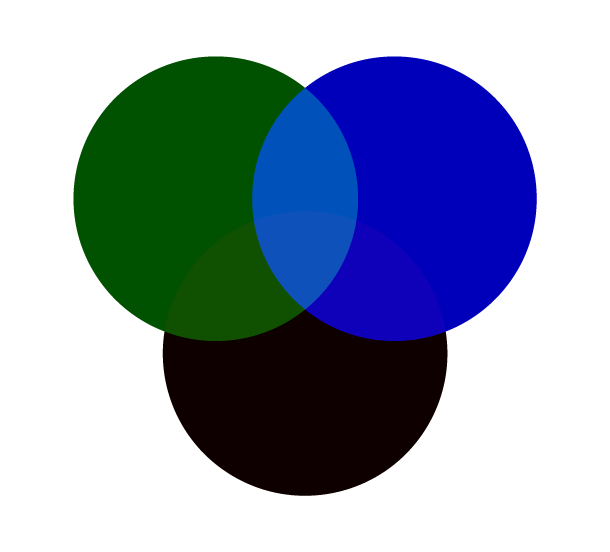 So I am curious to how I would be able to derive different colors (with different opacities?) from a desired color that will overlap to produce that desired color. I added the picture below to somewhat represent what I am trying to accomplish. I put them to three circles in three different layers. First and second from the top have blending mode =ADD to perform the addition of the colors. The wanted blue is at the middle. Note that nearly black red doesn't affect very much, but it affects. Surely the same final mixing result is available several ways. Add say some amount of green to the first layer and take it off from the second layer. If you take a screenshot of my image and check the colors in a photo editor, you probably see much altered color numbers due the several color management stages between your photo editor and my Photoshop. Where I took the numbers? You gave them in hexadecimal. 0f = decimal 15 etc... Of course the color selector tool in virtually all graphic programs does the conversion, too. You may think that I cheat when I do not use normally blended layers and transparency, but add directly. It's very normal to use the different blending modes to achieve the wanted mix easily. Your sapphire blue probably is possible also by using the normal blending and opacities. And even in several ways, because only 3 RGB numbers must get the wanted values, but you can play with three colors and two opacities assuming the bottom layer to be not transparent. You don't mention which software you are using, but since you said it's for a logo, I will assume you mean Adobe Illustrator - although you could do the same in other vector image editors, such as Inkscape or CorelDraw. See example below in Adobe Illustrator. This method doesn't use any opacity/blending mode techniques. Create three overlapping circles, and select them all. With the Path Finder, hit the Divide button. Fill each section with the colour you want. 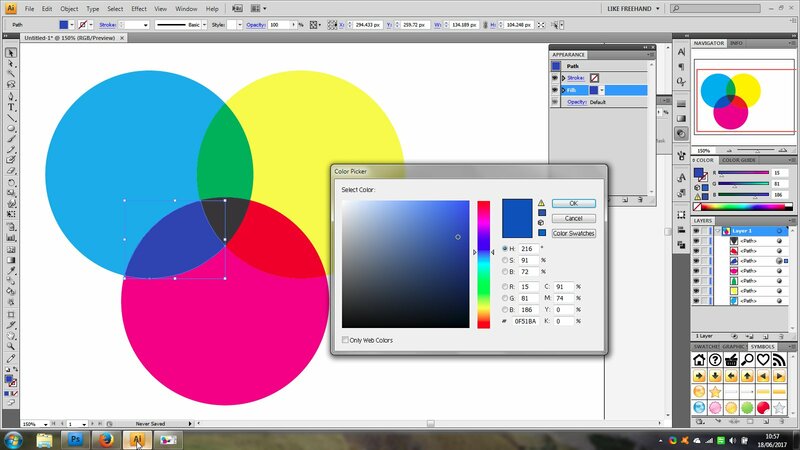 As user287001 has stated, just make separate shapes for each RGB color, then change the Blending Mode of the top two shapes in the layer stack. Not the answer you're looking for? Browse other questions tagged color color-conversion rgb color-spaces color-reproduction or ask your own question. Completely different interpretation of Pantone to RGB values depending where I look. 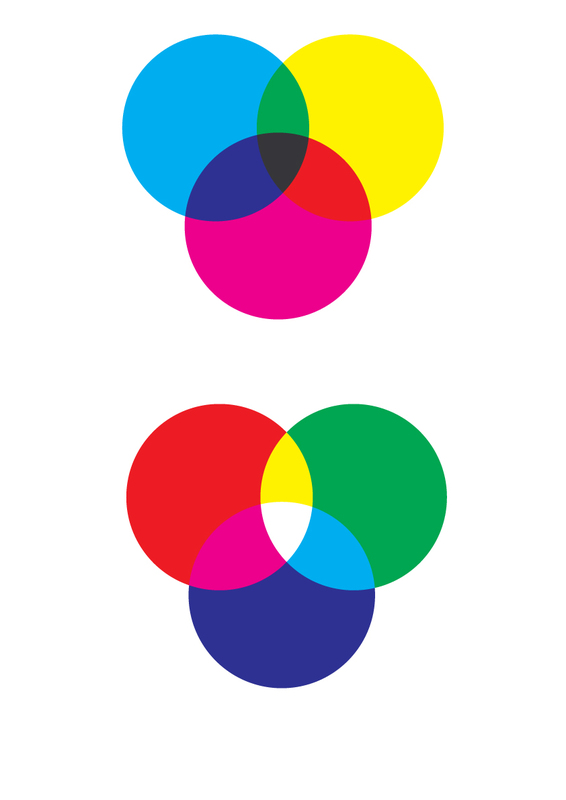 One RGB color could only match single one HSL color?